Why not use this cheap Camera ? 1) Why are you using the expensive camera Axis P1347-E when I have just seen a complete set with NVR/DVR and several cameras at Costco ? 2) I am considering getting this NVR with 4 system, that do you think about it? We are glad to hear that you are working on Cameras in your neighborhood, this is an important step in securing your neighborhood. It is even greater to hear that you are taking the lead in this effort for your neighborhood. When we started this process we evaluated a number of vendors including systems from Lorex, Q-see and others that had a very attractive price point. Our conclusion is that these systems can not do what we want. We learned the hard way that systems that looks good on data sheets not always work as well as expected when mounted in SF Bay area weather. The most important lesson was to be sure to install and test a potential system before the 30 days return right has expired. We had to return a number of systems before finding one that worked, we started with lowest price and worked our way up the price range until we found one that worked. This process took many months. 1) Ability to capture faces and license plates both day and night, rain or fog. 2) Ability to work at the house that is hosting the camera WITHOUT the need for a DVR/NVR or a computer. The amount of hardware and equipment installed at the hosting house has to be an absolute minimum. 4) Ability to send high resolutions images to the internet (PUSH) based on motion detection. It is a requirement that no configuration of host family’s firewall is required, no need for fixed IP address and not need for dynamic DNS. Image wise we found that while some analog systems are good, and constantly improving, to get the best images you need a true digital cameras. High resolution (in our case 5 Megapixel – 2560×1920 equivalent to 1920 TV lines on an analog camera) is a requirement for good zoom after the fact capability. Systems that are compatible with the Neighborhood Guard specifications above should IN THEORY EVENTUALLY be able to participate in the Neighborhood Guard data exchange cloud storage, video retrieval and other features. The advantage to using the AXIS P1347-E is a) that we have already done the testing and know that it works, AND b) that as a member of Neighborhood Guard you will have help installing and setting up from the your neighbors who has already installed such systems and got them working. When all this is said, the systems from: Lorex, Q-see, Logitec, Comcast, and alarm companies are are probably good alternatives for video surveillance of your home. These systems are designed for close range use and give excellent value for money. Neighborhood Guard has just started a committee to collect experience from neighbors on which systems works best, and how to best install. The goal of this committee is to be able to make specific recommendations on actual systems and their installation. This entry was posted in Installation and tagged Camera, comcast, costco, lorex, q-see by neighborhoodguardadmin. Bookmark the permalink. This are some solid tips. I would love to hear your findings on what systems/installs have worked the best. Actually, if you’re interested, I’d love to have you guest blog on our site about securing neighborhoods with video surveillance. Or, possibly interview you with specific neighborhood surveillance design questions? We are currently using Axis 1347-E as camera, I will contact you by email to discuss specific neighborhood questions. Hi Jesper, Thanks very much for setting up your blog and all the info. Some members of our east Oakland “Grass Valley” community (near Golf Links Rd.) have been discussing installing cameras because of more frequent break-ins. Ideally we would need three cameras to cover all the roads in and out of our community, but with your recommended system costing about $2500 each, plus installation costs, fake cameras, signs, etc. this pushes our total cost close to $10,000 we are guessing. We were wondering if there are any systems that would be second best and still offer decent coverage. If we can get three systems for about half or maybe 2/3 that cost, we might be able to get enough people to contribute to install it. Your thoughts are much appreciated. 1) Install the cameras yourselves. 2) Break the fundraising into bits, so that you first collect money for one camera (the pilot), and once you have proven that you can get it to work, use the cool images from your camera to drive the next donation round. 3) Cost of cameras is constantly going down, last I checked the price for a starter kit had dropped to $2100, subsequent camera locations are slightly cheaper because you don’t need to buy the tools again, and the initial spool of cable will likely have enough left for at least 1 more, maybe 2 more cameras. Buying cheaper cameras will take you from having usable images to not having usable images, which is useless and a false sense of security. 1) Does it require a great deal of technical skill to install cameras? I mean, I can put a computer together and troubleshoot, but I am not a network specialist or electrician. I’ll check with others. 2) I assume you want to install these on private properties to be covered by insurance in case they get stolen or vandalized (I assume the bad guys will try to at some point). 3) I assume these take pictures of moving objects (cars) day and night. Where are the images stored? At a computer at the house hosting it? 4) I understand the deterrence factor, but if there is, say, a break-in at an indeterminate hour one day, there would be perhaps a hundreds of license plate numbers captured here (there is a school in our neighborhood with most of the kids coming in from outside). What do you do with all that data? Will OPD sort through all that? 1) Not much technical skill requires, if you can put together a computer you can easily do this. 2) We place cameras on private property to avoid dealing with City permits, and to avoid having to share our images under the “freedom of information act”. 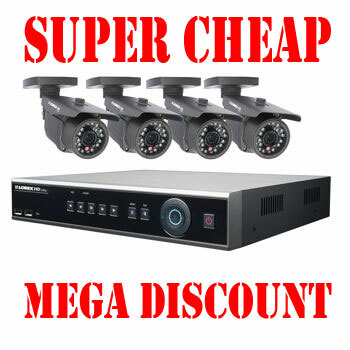 We greatly reduce the chance of stolen or vandalized cameras by hiding the cameras. 3) Recommended Cameras has build-in motion detection and only upload when triggered by Car or Person. Images are uploaded and stored directly in the cloud, no local computer needed.